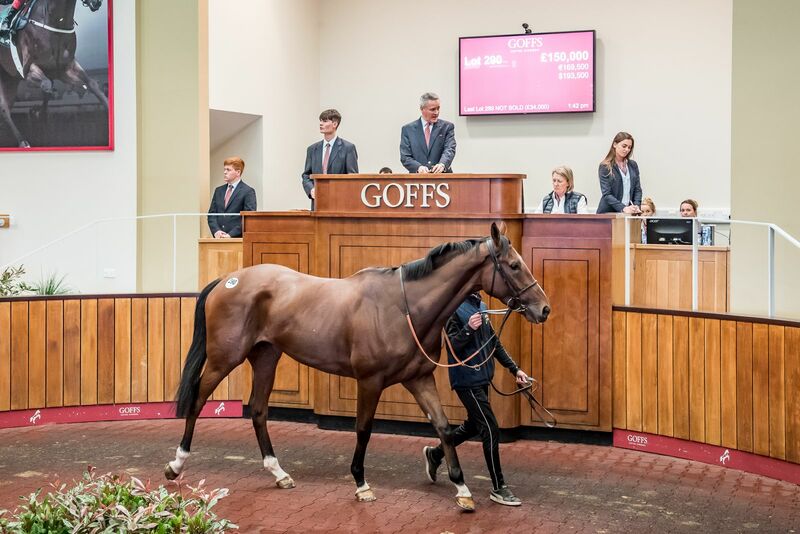 The 2018 Goffs UK Autumn Sale at Doncaster concluded today with the second and final session offering 188 Horses-in-Training and Pointers which were topped by the debut Bumper winner Aggressive who sold for £150,000. Offered by David Elsworth, the 3YO (Lot 290) was one of a number of high-class Form Horse and Point-to-Point entries and topped the sale when selling to Hamish Macauley Bloodstock on behalf of American owner Irvin Naylor. The 3YO was one of two horses to sell for six-figures today with Colin Bowe’s Pointer Pistol Whipped (Lot 306), who placed second on his most recent start at Loughrea, selling to Highflyer Bloodstock for £110,000. Mary Doyle’s debut winning Pointer Unexpected Depth (Lot 302) was another to attract strong interest when selling to Kevin Ross Bloodstock for £75,000 while owner Roger Brookhouse purchased two Pointers, Buck's Bin's (Lot 298) and Rock On Rocco (Lot 309) for £60,000 and £55,000 respectively, both of which were offered by Monbeg Stables. “We have enjoyed a good day’s trade today for the Horses-in-Training and Pointers with the higher-class entries attracting strong demand in the ring from buyers from throughout Europe and America. “Yesterday’s yearling session was indicative of the season’s end service trade. Our figures were in line with last year’s edition and the clearance rate was reflective of this market.